BRYAN EATON/Staff Photo. 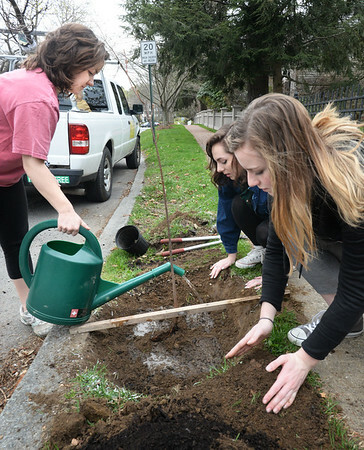 Members of the Newburyport High School Environmental Club planted a tree for Earth Day on Toppan's Lane across from the high school. Watering the red maple, from left, Molly Beluk, Annaliese Keller and Sarah Simon.